Disney World’s Iconic Carrot Cake Cookie Sees Big Changes! 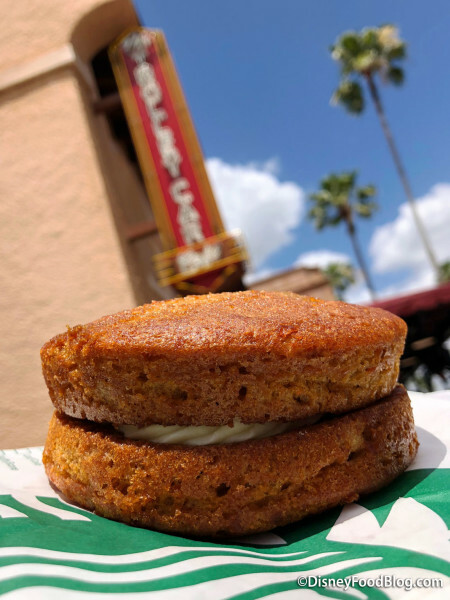 We’re not really sure how to tell you this, so we’re just gonna come out with it: Walt Disney World’s beloved Carrot Cake Cookie has been ‘updated.’ Changed. Reinvented. Altered unnecessarily. 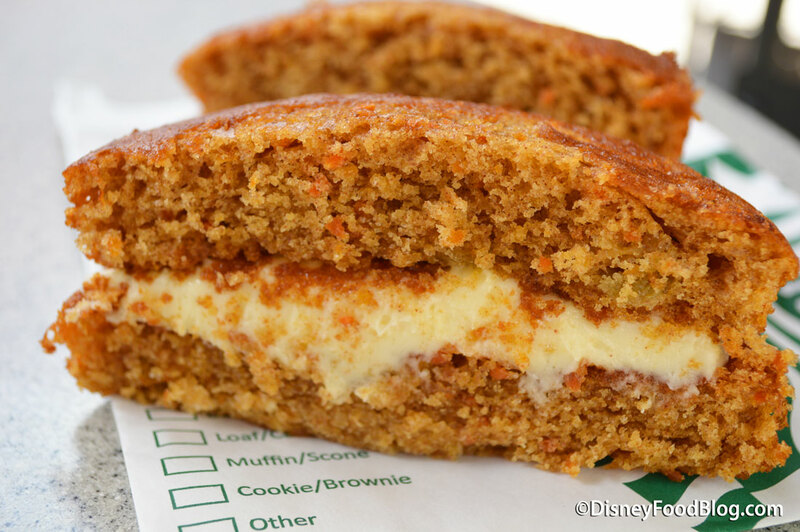 However you say it, the truth remains: the Carrot Cake Cookie as we knew it is no more. Let’s get into this. 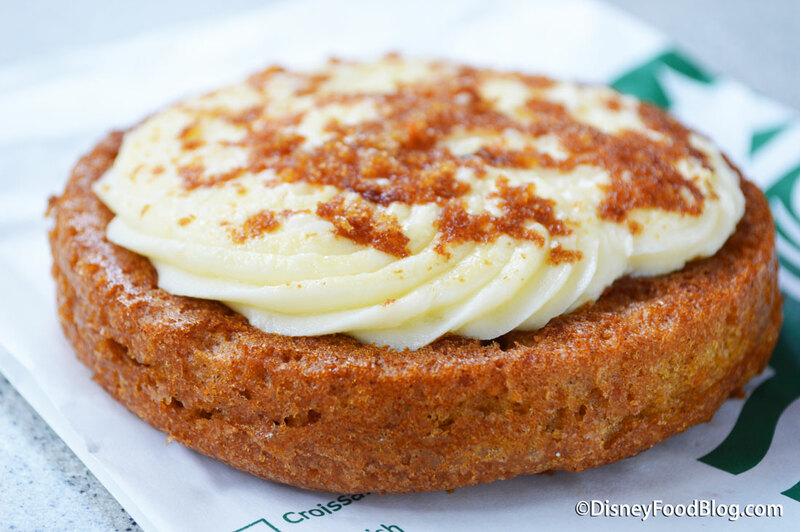 You can still find the Carrot Cake Cookie at Trolley Car Treats — Disney’s Hollywood Studios’ Starbucks location. (Since Sweet Spells closed a couple of weeks ago, Trolley Car is the only location where you can pick up this popular treat!) It costs $3.99 (or a DDP snack credit), so it’s a relatively reasonable price. But will you want to? 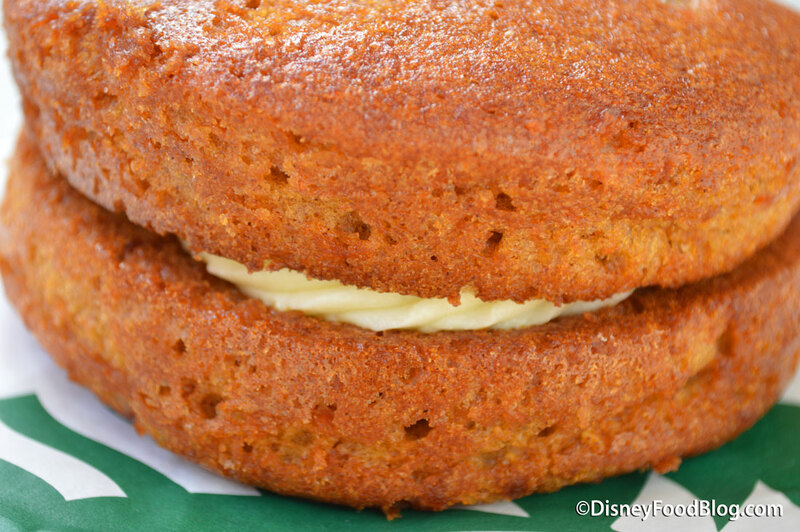 The old Carrot Cake Cookie celebrated both components of perfect carrot cake: the cake and the cream cheese frosting. The ratio was spot-on: thick frosting between thin, cake-like cookies. Basically a huge whoopie pie with all the right proportions. If you’re thinking “Can we have some frosting with that cake?”, the answer is yes. Sort of. See? Its in there, peeking out from between two seriously inflated carrot cake cookies. But to say we’re underwhelmed is an understatement. There’s some good news, and it’s all about the cake (in case you couldn’t tell!). The flavor and the texture of the cake remains the same, so if you’re a bigger fan of the cake than the frosting, you will not be disappointed. 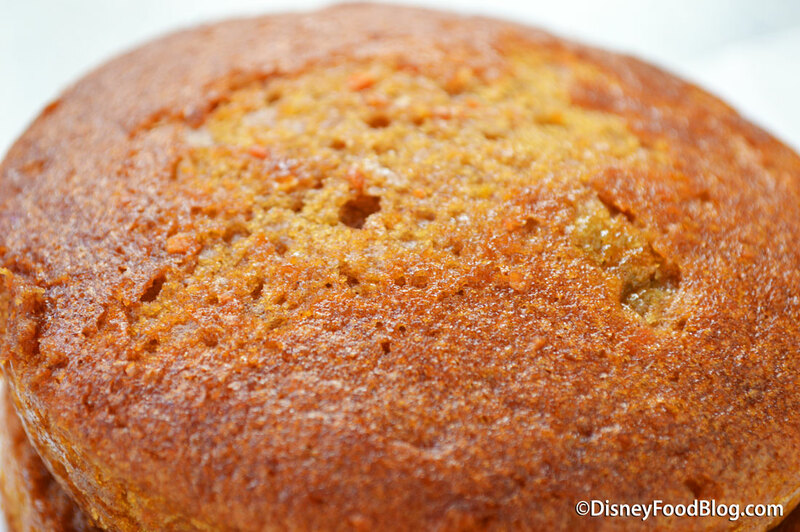 Moist and lightly seasoned, the carrot cake itself is yummy. And like the older version, which we always felt was more cake than cookie, this one is definitely cake. But if you know us, we’re all about the cream cheese frosting. 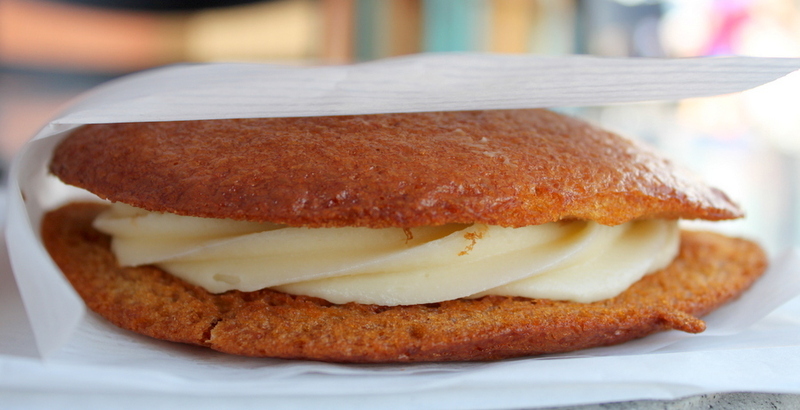 And, really, if we want to compare this to a whoopie pie, it needs a lot more frosting in that context, too. Here it is, the biggest crime committed by the new Carrot Cake Cookie: less frosting than the original — even with the dramatic increase in cake! We love the sweet and tangy frosting, we just need more of it. Like double. Easily. The ratio of cake to frosting is better toward the middle of the sandwich, but it’s still not enough. 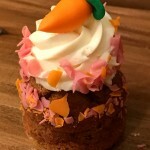 The sweet frosting is necessary to balance out the carrot-y taste of the cake, so what you’re left with after you eat it is a strong carrot aftertaste. Bottom line: if you’re into the cake and can take or leave the cream cheese frosting, the updated Carrot Cake Cookie is made for you. But if you’re like us — or really wanted to try the famed Carrot Cake Cookie of yore — you won’t get the experience you expected. And that’s a bummer. Why?! Why must something so good be changed into something so mediocre? Don’t get me wrong. I’ll totally still eat it. But if you need me, I’ll be in the corner whining for a while. 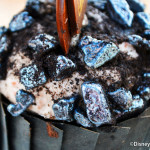 And hatching a plan to get a cast member at Trolley Car to somehow sneak me some more frosting… . 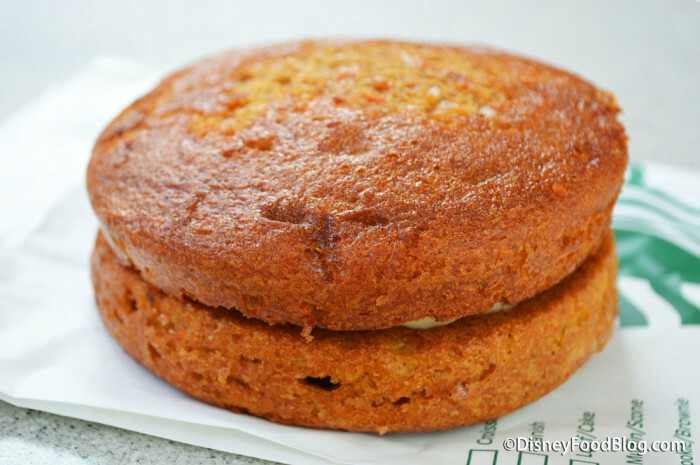 What do you think of the new Carrot Cake Cookie? Commiserate or celebrate in the comments! 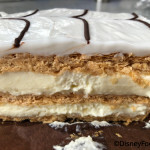 Review: Classic Napoleon at Trolley Car Café at Walt Disney World’s Hollywood Studios! Wow, that’s so weird. My husband had the new version twice in the last 5 days and it didn’t look like that at all. The frosting layer was gargantuan! Monumental! The whole thing weighed as much as a small child! Lol He was not disappointed by the change, to say the least. This is a travesty. I feel personally victimized. I’m going to need to console myself with a paw print brownie from Kusaf – ah, crud. Will they let you purchase extra frosting?! That’s my fav part too!! Amy, as far as we know, there’s no option to buy extra frosting. But that would be awesome! Stacy, thanks for the info! We’ll keep our eyes peeled to see if the frosting issue is just a matter of consistency. Honestly, I know everyone has their traditions and food experiences while in Disney World, but I just don’t get why everyone gets their knickers in a twist every time they change a COOKIE! Disney is constantly changing up their rides, food and etc. 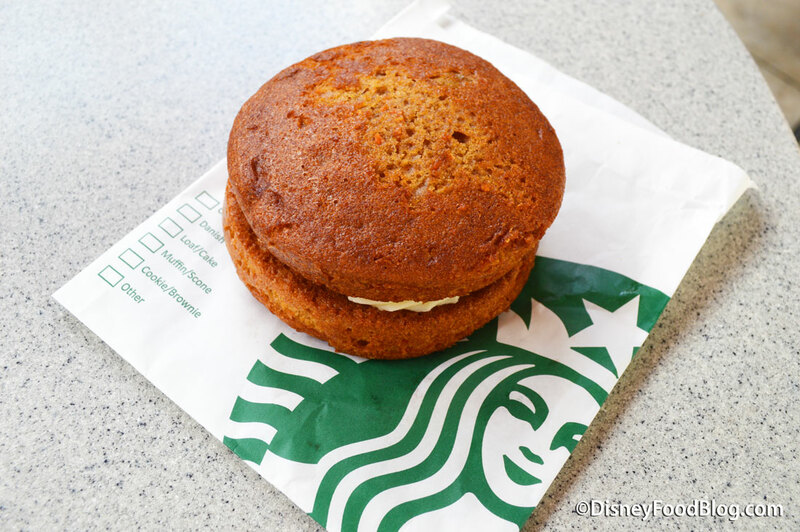 Times they are a changing and you have to go with the flow……I can honestly say I had to try the infamous carrot cake cookie at the Writer’s Stop a few years ago and was underwhelmed. It was half frozen and for me it was meh! Disney World is spending time with your family, forgetting about your burdens that are waiting at home for you and just relaxing. 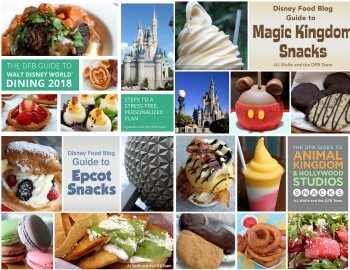 Hopefully, WDW is way more to you than just a cookie! We are just talking about a cookie right? Honestly, I hope Disney is more to you then a cookie! I’ll be joining you whining in the corner. 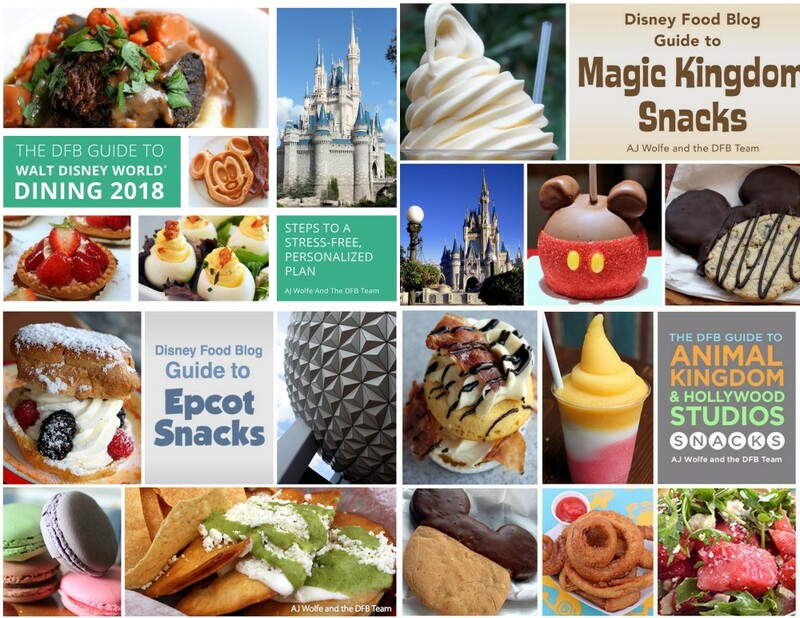 You guys, it’s the Disney FOOD Blog, not the WDW Magic forums! I’m not going to get upset over a minor change to a vegetable-based cookie. I’ve learned that DFB’s idea of a delicious dessert does not at all align with my own anyways. I tried the Oreo Whoopi pie they raved about and found it to be incredibly bland and had to throw it away after a couple bites. To each their own though. RIP Carrot Cake Cookie I’ll miss you. Now I need to find a better snack. Awesome!! Always thought the previous cookies ratio was way to high on the frosting. As a counterpoint to the “all this over a cookie?” debate, let me remind people that the middle name of this blog IS “Food”. It’s probably in their bylaws that when they see a change they deem for the worse in any food-related item, then it is their job, nay, their mission, to inform the public so that people may make informed decisions when they visit the parks. That being said, it IS only a cookie, people. Grab a Sprinkles frosting shot if you really need your fix. It’s not like someone changed the formula for Häagen-Dazs vanilla icecream or somethin… Wait. What? They did! NOOOOooo0000oooººº•••!!! Are there still raisins in it? I had one this morning and I though the ratio was just fine. I love cream cheese frosting, but a lot of it can be overwhelming. The cake was delicious and the frosting was as well. Never had the old one but I didn’t see anything wrong with this. There’s a special place in the fiery depths of you know where for the person that ok’d this change. So sad!!! This was the last food item I shared with my grandma on her “Farewell Florida” trip (she had moved down there with her husband MANY years ago to be closer to his family, and after he passed she decided to move back home to be with her family). It was big enough to split 3 ways and all of us got just enough. I came home craving it and attempted to make my own, but they weren’t as good. It’s a good memory I’ll have from that trip, especially since my grandma can’t travel anymore and will not be going back to WDW. As long as the flavors are the same I’ll be happy….but if it’s smaller my husband might need to get his own lol. Ron — Ha ha!! That is the BEST! 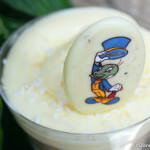 Yes, these used to be amazing, but, you never know what Disney is going to do! Thanks for having my six on this one! We had the new carrot cake cookie last week and there we had a lot more frosting than what you have pictured. It was so good! My husband LOVED it and would not stop talking about it. 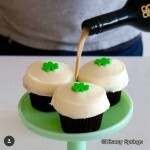 He wants me to somehow recreate this treat for his birthday! I’ll recreate another trip to Disney for his birthday where he can get another lol! Did they also change it at Magic Kingdom? That being said, I thought the old version had slightly too much frosting, but this looks like it would be too little. Hopefully they are still working out the kinks and will get the proportions right because I always did want more cake. Oh and to those that dont understand the uproar, I am guessing you never had one of these awesome cookies. 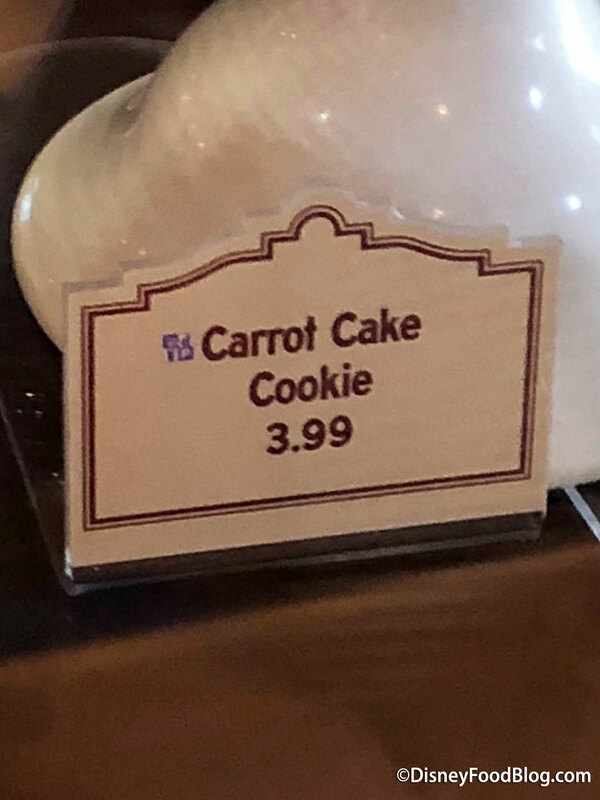 RIP good carrot cookie. We shall buy you no more! I bet it still eats and is still delicious, going back in October and will be judging for myself! I had one of these today. There were several in the case, some looking like the “newer” version pictured above and others looking closer to the older version with more frosting. 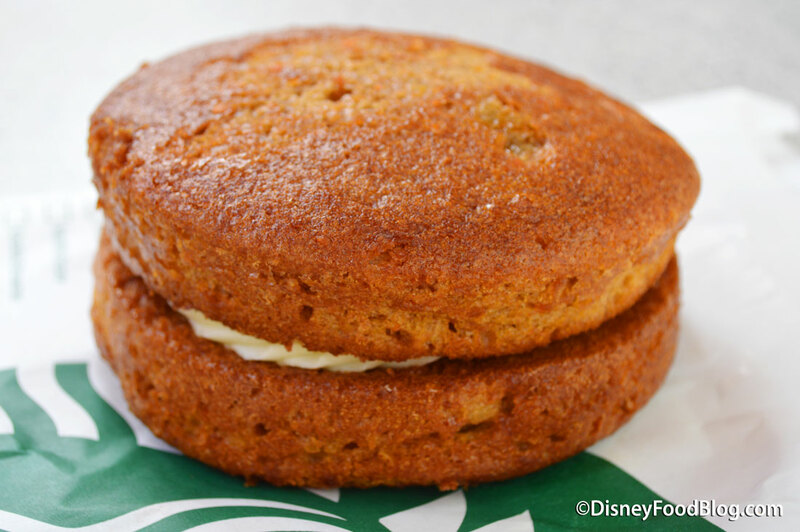 I got one with thicker frosting and thought it was terrific and had the perfect amount of cream cheese sweet frosting that went nicely with the moist cake and not terribly sweet carrot cake cookie. It’s large and definitely shareable. 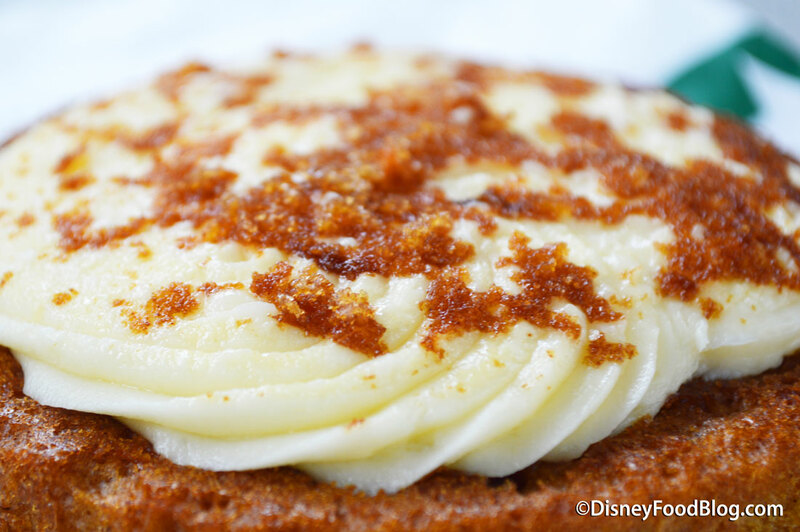 I’d definitely get another and encourage you to look through the selection (or ask a cast member) because you just may find one with the right amount of frosting for you!